Xenetic Biosciences is a biopharmaceutical company focused on the acquisition, research and development of novel oncology therapeutics, including next-generation cellular immunotherapies for difficult to treat cancers, including B-cell Lymphomas, as well as improved biologic drugs. Our XCART platform is a novel CAR T technology engineered to target patient- and tumor-specific neoantigens. Our proprietary and patented technologies are being utilized to create life-changing therapies. 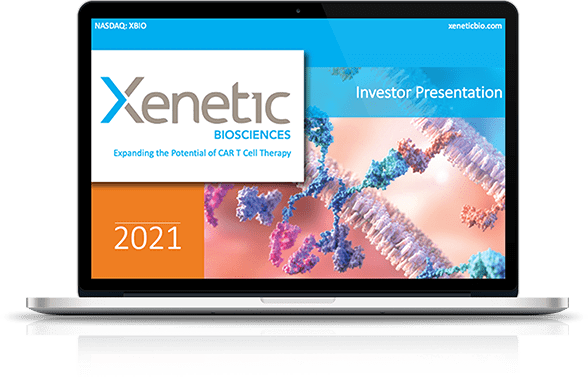 Nasdaq: XBIO Xenetic Biosciences, Inc.